These are the planned breedings for 2019. 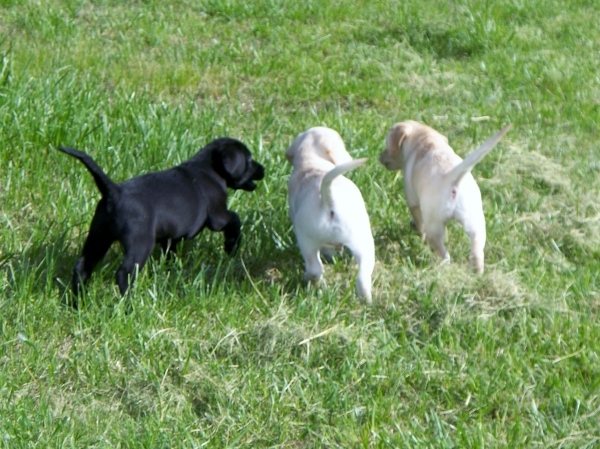 We do plan every litter far in advance, oftentimes 4 or 5 years in advance ! However, there is always the chance a litter does not take, for whatever reason (there are a million), or the timing of the litter just might not work out. Please keep this in mind as we post our litters and in future inquiries. Shallow Creek's Some Kind Of Wonderful "Eve" will be bred with CH Shallow Creek's Let It Be "Max" in April of 2019. This will be an all black litter and all of Eve & Max's information can be seen on the Girls & Boy's pages of our website, respectively. Shallow Creek's Good Work "Pip" will be bred to CH Shallow Creek's Fly Me Courageous "Cory" in August of 2019. This will be a chocolate & black litter and all of Pip & Cory's information can be seen on the Girls & Boy's pages of our website, respectively. This will be Pip's final litter, after providing us with some fantastic puppies !! ​Shallow Creek's That's What I Want, "Jess" will be bred with CH Shallow Creek's I'm Your Captain, "Will" in October of 2019. This will be an all black litter and Jess & Will's information can be seen on the Girls & Boy's pages of our website, respectively ! Again, litters are planned far in advance--but Nature determines reproductive cycles and timing. Listed above are the litters we have planned so far. 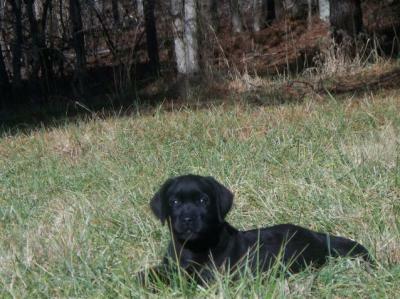 When puppies are whelped, their information will be listed on the "New Litters" page.